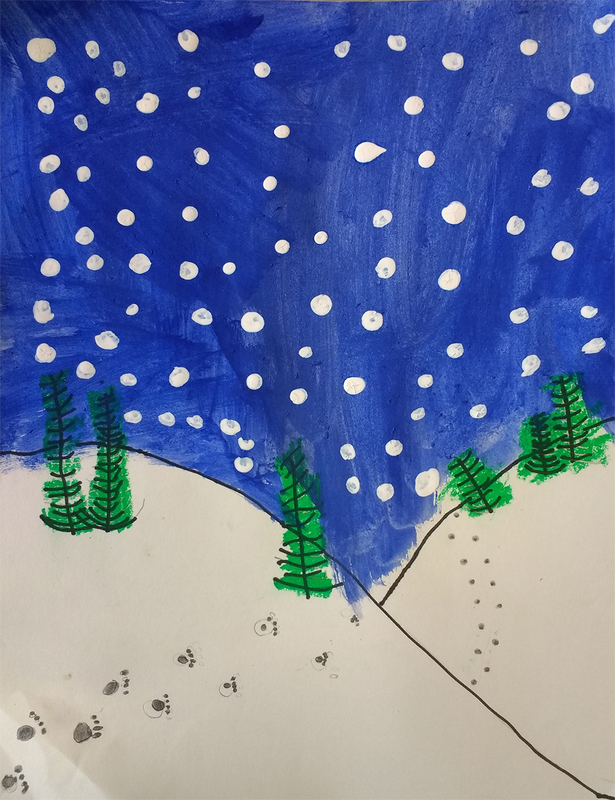 As a way to introduce the art element of space - or in this case, depth - first graders created these winter landscapes. The concepts of overlapping (the snow covered hills) and making our trees and footprints smaller as they get farther away are both used to imply this sense of depth. 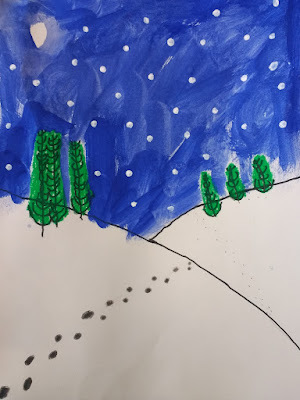 Students also begin to learn about the value of using guidelines (they used one to position their rows of footprints) in setting up an artwork.